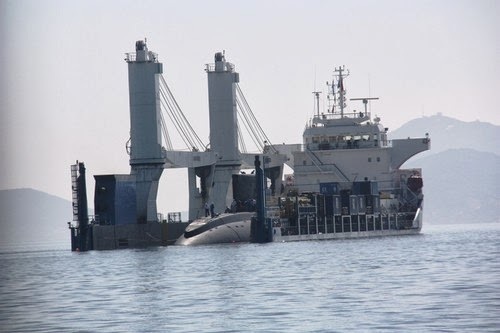 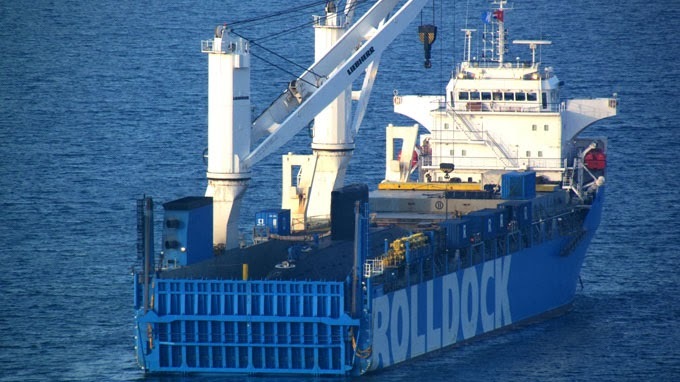 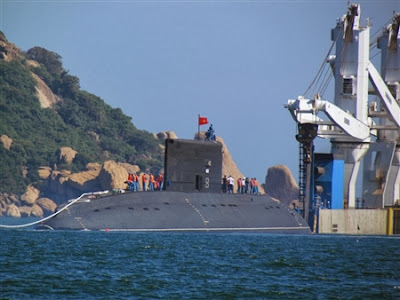 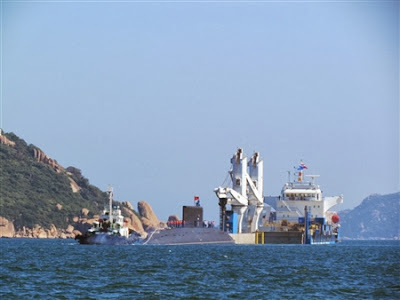 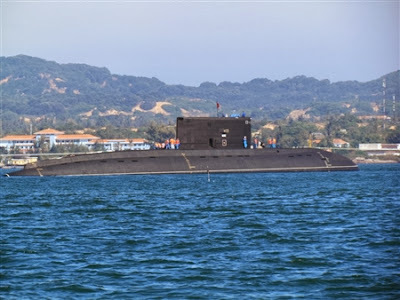 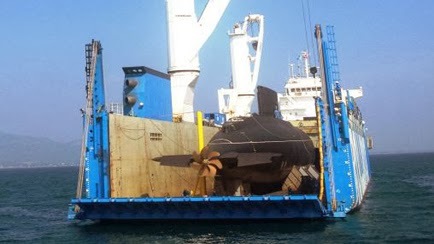 QĐND Online - After more than 40 days beyond the sea , the evening of 1-1-2014 , Rolldock Sea freighter carrying kilo class submarine named HQ - 182 Hanoi has access to Cam Ranh port security. 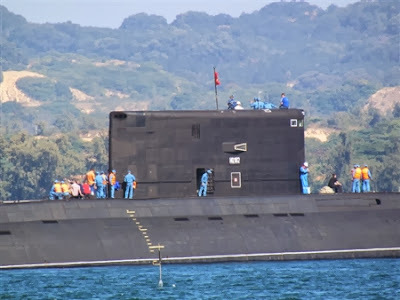 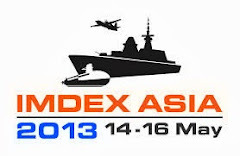 Vice Admiral Pham Ngoc Minh, Vice - Chief of Staff Commander Navy with the delegation of the Ministry of Defense, Ministry of Navy Commander and Naval Brigade 189 in cooperation with Russian experts to examine preliminary plan implementation and handover ships launched in the near future. HQ - 182 ships of the type of modern attack submarines capable of destroying submarines , surface ships and other targets of the enemy. 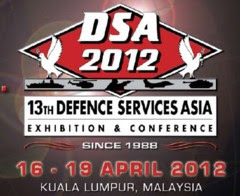 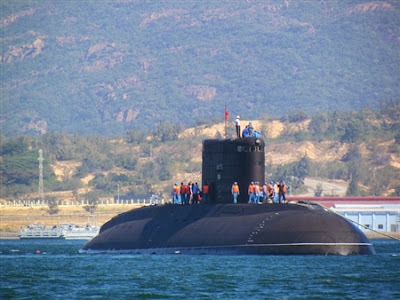 The reception HQ - 182 submarine is in the process of building the Vietnam People's Navy revolutionary, regular, elite , modern , contribute to other forces firmly safeguard sovereignty sea, islands, shelf Homeland continent.